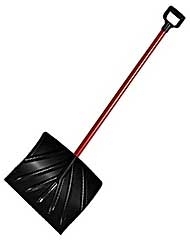 This original high-back aluminum Back-Saver holds snow on the blade until you throw it and also doubles as a pusher. 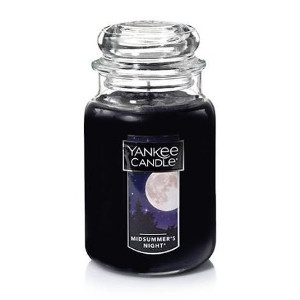 The aluminum blade features a high-gloss, slippery finish reinforced from top to bottom. The Back-Saver handle is powder-coated tubular steel with a foam grip. Blade: 18in x 16in. With wear strip. 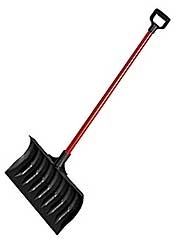 This extra-wide pusher is ideal for clearing large areas of snow accumulation. 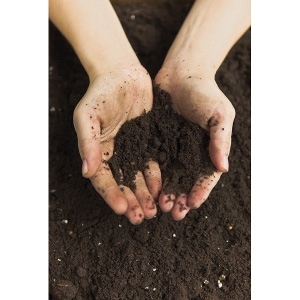 It is built to last and designed for easy use and fast snow removal. Clear driveways and walkways in just a few passes! This item features a 30-inch wide, large capacity blade, a North American ash handle for strength and durability and a strong poly D-grip. 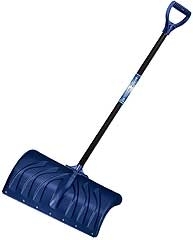 This snow pusher is made with high-density poly to withstand cold temperatures. 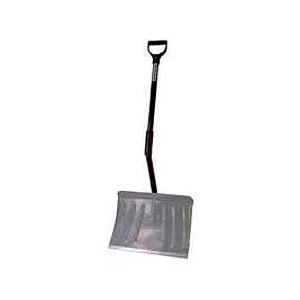 Poly mountain mover combo snow shovel with steel wear strip, lightweight durable steel core handle. 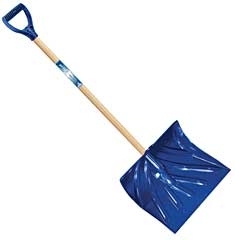 Snow shovel, 18 inch poly, combo, non-wear strip, D Grip, wood handle, blade size 13-1/2in. x 18in. 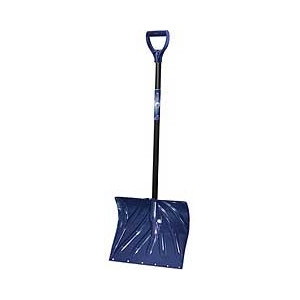 Pusher snow shovel with wear strip and quick connect system, steel handle, blade size 11x24in, overall length 52in. With Aluminum Handle and large combo blade. Poly propylene with no break additive and a 10 year manufacturer warranty. 10 in. X 18 in. blade. 47-3/4 in. length. Fully assembled. Steel handle. Fully assembled. 13 in. X 18 in. blade size. 50 in. length. Steel handle.